From women’s human rights in Iran, to the economic engagement of women in the Middle East and North Africa, to the growing use of technology in movement building, hear about some of the most pressing issues for women in the Middle East today. 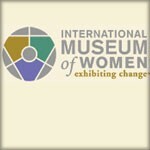 International Museum of Women’s Extraordinary Voices, Extraordinary Change Speaker Series program with Mahnaz Afkhami. For more information, email events@imow.org or call 415-543-4669 ext. 27. Mahnaz Afkhami is the Founder and President of Women’s Learning Partnership, Executive Director of the Foundation for Iranian Studies, and Chairwoman of the International Museum of Women’s Global Council. 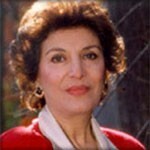 Afkhami, exiled from Iran under threat of death during the Iranian Revolution, has worked as a leading advocate for women’s rights internationally for more than three decades.